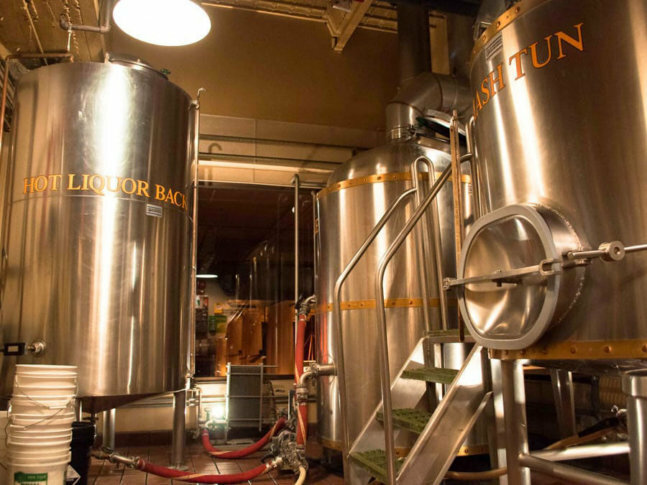 Location technology and intelligence company Skyhook used its geospatial intelligence technology to determine the three busiest Washington area brewers. WASHINGTON — Ahead of International Beer Day and National IPA Day Aug. 3, location technology and intelligence company Skyhook used its geospatial intelligence technology to determine the three busiest Washington area brewers. It made the determination by seeing how many location-enabled devices were on site at the brewery at any given time. It also used that method to determine the busiest day of the week at the busiest brewery locations. To be clear, the three busiest breweries in the Washington area that Skyhook notes are also some of the biggest. No. 1 is District Chophouse & Brewery, near Capital One Arena. District Chophouse opened in 1996, and in addition to its beers on tap, customers can also take 64 ounce growlers to go. Skyhook reported the busiest day at District Chophouse & Brewery is Thursday. No. 2 is Mad Fox Brewing Company in Falls Church, which opened in 2010. At any given time, it has 14 of its own beers on tap. The most popular day of the week at Mad Fox is also Thursday. No. 3 is Capitol City Brewing Co., which has been around since 1992 but recently closed its Shirlington location. Its New York Avenue Northwest location near Metro Center was the first brewpub to open in D.C. since Prohibition. The busiest day at Capitol City is Saturday. Destination D.C. has a list of 10 of the District’s most popular breweries with their locations and hours. Aug. 19-26 is also the 10th annual DC Beer Week.